Edge Sight and Sound - your events. our passion. 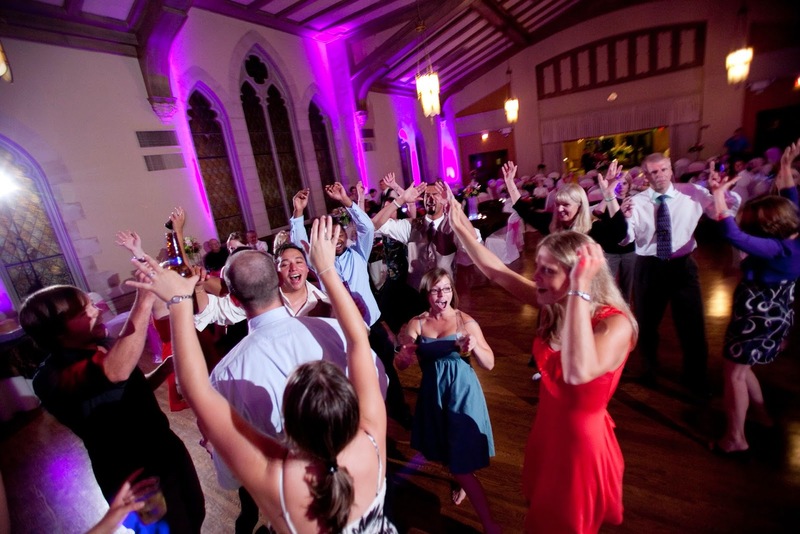 : Should you let your guests request music at your wedding? Should you let your guests request music at your wedding? Should you let your guests request music at your wedding? Of course! We always welcome requests, it's a way to make your guests feel part of your wedding. Just be aware, there will definitely be guests who pick inappropriate songs. A great way to avoid this is by offering your guests a chance to request music ahead of time through their RSVP. That way you can create music lists of songs/artists that should definitely be played and songs/artists, that under any circumstance, should not be played. Here at Edge Sight and Sound we allow our Brides and Grooms to electronically create request lists. This makes it easier for them to add/remove songs on the go. Our DJs follow the "Play" and "Do Not Play" lists very carefully. Also, your DJ won’t play anything that "doesn't feel right" or that can potentially kill the party. We feed off the crowd, so if all your guests are on the dance floor dancing we wont play a slow song that will kill the energy. The only exception is if the Bride or Groom come to the DJ personally and tell them to play a song. Don't worry, we allow guests to requests songs on the day of! Just approach the DJ booth and we'll figure a way to add your favorite song.